– Getting Zuri to sleep through the night. Ironically, as I write this, I just experienced Zuri sleeping through the night, for the very first time, last night. Praise the name of Jesus!! I can’t even believe it!! It’s been ten months of her waking up numerous times during the night. Tired is not even the word to describe how I feel right now! I don’t know if last night was a fluke or what. But I’m receiving, by faith, that this is the beginning of a new phase for her: the sleep through the night phase!! I sort of tried a few of the popular sleep training methods when she was younger, but they never seemed to work, and only created more stress for me. The whole “cry it out” thing just seemed counter-intuitive to me because, as a new mom, I’m not going to sit back and let my child cry, for extended periods of time, when I know that I can easily make her stop crying. I just couldn’t do it. – Pumping. I can’t say that people didn’t tell me how important pumping is, if you’re a breastfeeding mommy, but I just didn’t get it. It seemed like such a chore to me, just one more thing for me to do. When you’re home with a new baby, exhausted due to sleep deprivation, and working from home, the last thing you want to do is add something else to your to do list. But the truth is, if you’re breastfeeding, pumping is not optional, it is imperative!!! If you don’t pump, then you are essentially a prisoner in your own body. You don’t have any freedom, as you are the only source of food and nourishment for your child. If you don’t pump, no one else can feed your baby, which means, no breaks for you, and you can’t ever be away from your child for more than 2-3 hours. 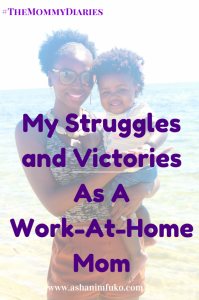 I was never motivated to pump because I knew that I would be working from home, so I never had that urgency of needing to build up a milk supply, because I was going back to work outside of the home. (By the way, I pump every day now. I’m building up my supply, for my freedom, and future use for Zuri. It took me a while to get it, but I got it now!) My advice to every new mom who plans to breastfeed: PUMP LIKE A MANIAC! – Getting Zuri to drink from a bottle, or sippy cup. Well, you can guess that, if I wasn’t pumping regularly, then there wasn’t much need for a bottle. However, I knew that I was going to be in my sister’s wedding earlier this year, and also teach at the Joffrey Ballet School Summer Intensive this summer, so I did try to introduce the bottle to Zuri at around 3 months. Apparently, it was too little, too late! Homegirl was not trying to hear it! She disliked the bottle from day one, and pretty much refused to drink from it. During my sister’s wedding ceremony, she sat in the car with my mother-in-law and cried the whole time, instead of drinking from the bottle that was right there for her. I can count on one hand the amount of times that my daughter drank milk from the bottle, and two of those times were while we were driving in our car. I eventually transitioned to the sippy cup, which she seems to like better. She still doesn’t drink from it consistently, but she doesn’t hate it like she hated the bottle. 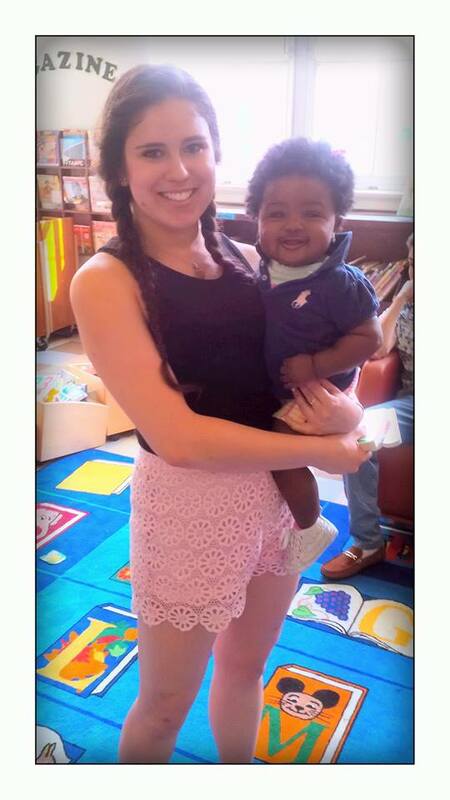 Zuri with my mommy helper, and Joffrey Ballet School student, Lauren, at the library. – Leaving Zuri with other people to babysit. Okay, so my issues are all connected. When Zuri was younger, because she wouldn’t take a bottle, I wasn’t comfortable leaving her with anyone for extended periods of time, because I was concerned about her not eating. But again, knowing that I was going to be teaching this summer (and that I really needed a break! ), I enlisted the help of a mommy helper/babysitter, and hired one of my Joffrey students. At first, she would just come over for a couple of hours a few times a week, to watch Zuri at home, while I worked in another room. Then she eventually, during the summer intensive, would take Zuri out to the park, or for a walk, while I taught. There were also some days that she stayed at our place to babysit Zuri, while I went out to teach. There were many rough times, like when I could hear Zuri crying as I left, and so on. But, we worked through the challenges. I’ve had a friend and family members babysit Zuri since then, and it went fairly well, so we’re definitely making progress. I’m still trying to decide what to do with childcare, as I need a break every so often, and my mommy helper Lauren, is back in school now. I’m considering whether to go the nanny route, or maybe try a small, at-home family daycare, a couple of days a week. I’m still on the fence about that one. It’s tough when your parents aren’t available because they live far away and work, or are deceased, or out of the country. It really does take a village to raise a child. 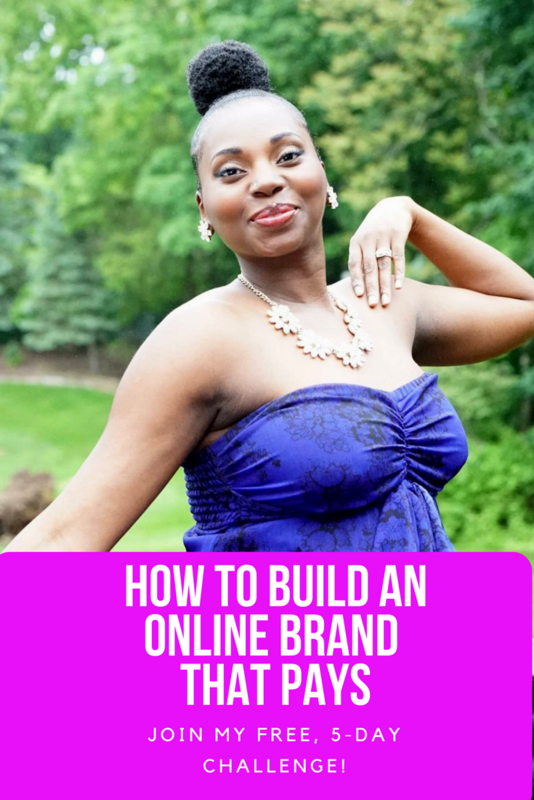 Sometimes you have to get creative, and build your own support system, from scratch. – Breastfeeding. My goal was to do it for a year, and I’m currently over ten months in. Yay! It looks like I’ll definitely reach my goal. Although it’s been a MAJOR commitment and sacrifice, I feel blessed that I’ve had so much success with breastfeeding. My daughter has grown so strong, and is a healthy, happy baby! Plus, it’s been a great bonding experience for both of us. – Zuri sleeps in her own room, in her crib. I was never a big fan of the co-sleeping thing. When Zuri was a newborn/infant, I was afraid that I would roll over and crush her. As she got older, I just felt like I slept better without her in the bed, because I could easily move around freely, and not have to worry about disturbing her. Now, every so often, she does sleep with me/us in the bed. But it’s not the norm. This usually happens when we’re on vacation, or something like that. 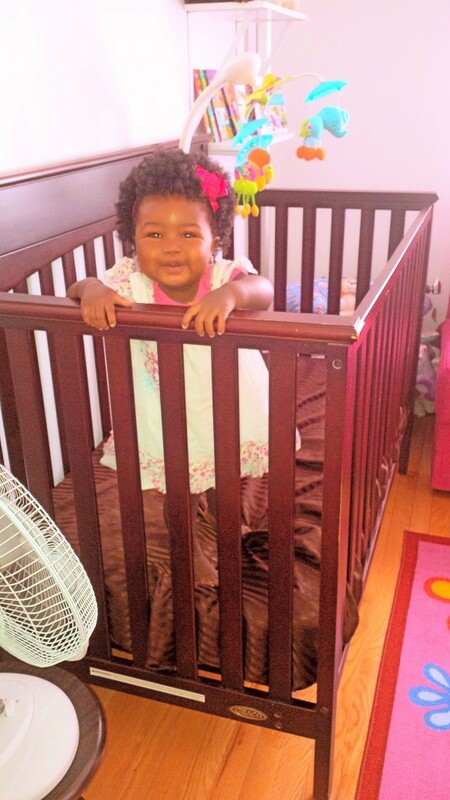 This is a picture of Zuri NOT sleeping in her crib! lol She loves to bounce up and down in there now! – Working from home. It has been a challenge, yet a tremendous blessing to be able to be at home with my daughter every day. 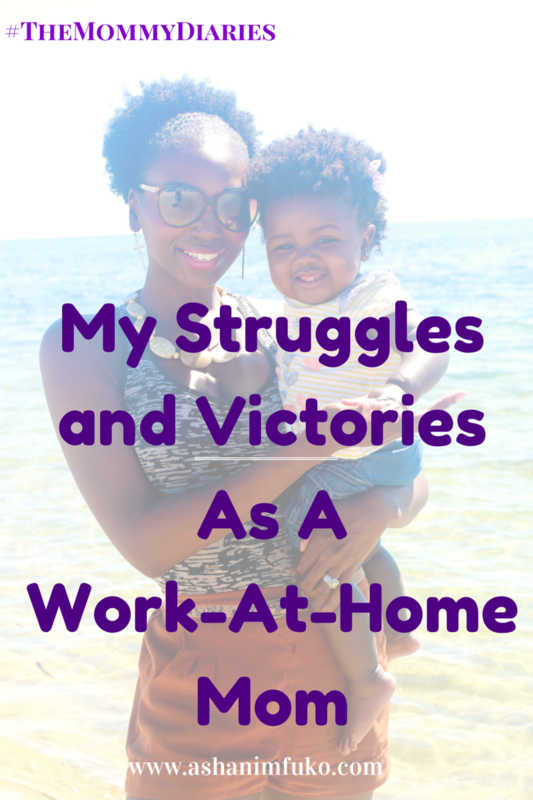 I am blessed to work as a Social Media Consultant, which gives me the freedom to work from home, on my own schedule. I’ve been able to nurture my daughter, spend lots of time with her, and be present for all of her milestones! Working from home with a baby is NOT easy, by any means. But it is truly a blessing, if you can do it. I know that my being at home with my daughter has helped her to feel more secure and confident, and brought us even closer together as mother and daughter. I do have moments where I feel like I’m missing out on opportunities, career-wise, since I’ve always been so career-driven. But the truth is, my daughter will only be a baby for a short time. Before I know it, she’ll be starting school! So I have to cherish these moments, and know that my sacrifices are worth it! – I lost the baby weight. Believe it or not, I actually lost all of the baby weight (25 lbs.) within 6 weeks after giving birth. I know, for a fact, breastfeeding played a major role in that transition. My stomach was back to being completely flat in no time. Praise God! However, my body certainly does not look the same. I would say, after you have a baby, your weight is distributed differently. It’s hard to explain. Another thing is, I lost a lot of my muscle tone after being pregnant, giving birth, and postpartum. One of the main reasons for that is, I haven’t been as active as I was previously, since having Zuri. I used to dance more, and teach dance classes much more too, so that’s played a major role in me losing some of my muscle tone. But again, it’s a small sacrifice to make, and I am working towards getting back in shape, and getting my strength and flexibility back, and even better than before. I’m a dancer, and that’s just what we do! – Our family vacations. 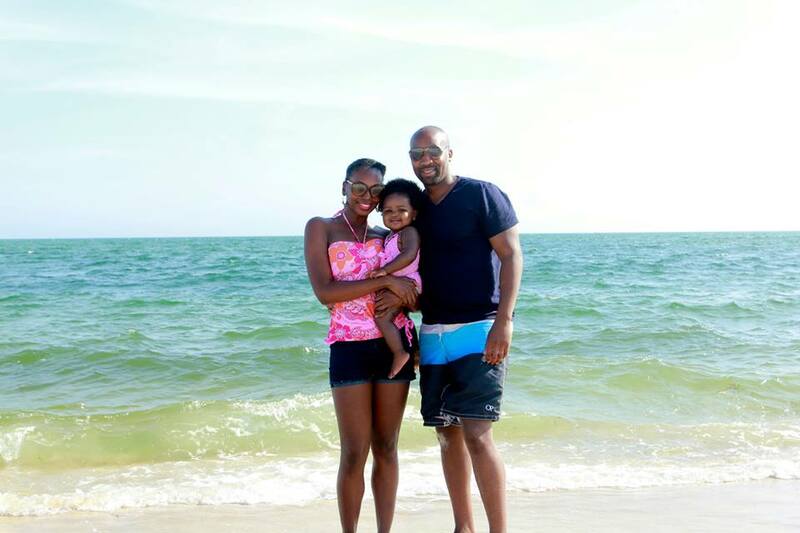 We’ve been on two awesome family vacations since Zuri was born! We went to Montauk this Spring, and had an absolutely wonderful time! I was so excited because I had never been to the Hamptons before. Now I know why everyone loves to go there! We will be making that a family tradition now, and going to Montauk every summer. You can see the full photo album from our vacation here. Then, at the end of the summer, we went to Cape Cod, another place that I’d never been to. It is so beautiful there!! I had no idea!! Again, we had a lovely time, although Zuri does not like the sand at all! lol It was another successful and fantastic family vacation, and we really enjoyed spending some quality time together as a family, and taking time off from work. You can see the full photo album from our vacation here. I highly recommend both destinations as a family vacation getaway. They were awesome! At 10 months old, Zuri is now walking (with assistance), crawling, cruising, talking, and is just one big ball of fun! She is eating baby food now (when she feels like it, don’t get me started on that one lol), and is doing much better with drinking from her sippy cup, as she loves to drink water (like mommy). 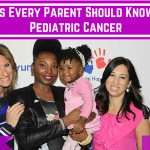 She’s been featured in an ad for Steps on Broadway (along with me), which was in the August 2013 issue of New York Family magazine, and she will be on the packaging of a line of diapers this fall. I plan to get her signed with a modeling agency before her first birthday. Speaking of first birthdays, we’re struggling with trying to decide what to do for Zuri’s first birthday. We want to do something special/have a party, but we don’t want to overdo it, and spend a ton of money on something that she won’t even remember. Do you have any suggestions? Please let me know in the comments below. 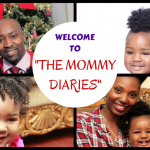 So that’s my “mommy diaries” update for now. Follow me on Instagram (@AshaniMfukoDance) for the cutest baby pics you’ll ever see, and for my daily photo diary, with lots of inspiration! 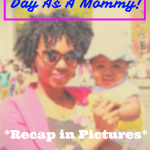 Motherhood is more stressful, challenging, rewarding, and exciting than I ever expected it to be! I don’t even recognize myself half the time. But I am loving the woman and mom that I have become. God is truly doing something amazing in me, my husband, and our beautiful, growing daughter. What can I say? Life is good! 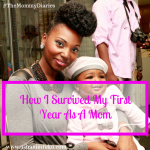 What was your first year of motherhood like? Did you face any of the challenges that I’ve faced? I’m always open to your thoughts, experiences and advice. Post a comment below, and share! !